Earlier this week Sony issues a press release marking another milestone for the PS3. 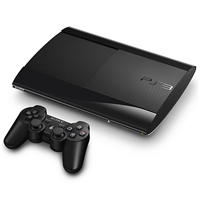 The press release says the PS3 has sold over 30 million units in PAL Territories, which includes Australia, New Zealand and South Africa – since March 2007. Just two years ago, PlayStation 3 sales in Europe were reported to be around 19.7 million so this new figure shows significant sales over that period. Sony says the PS3 cycle will last up to 10 years, so who knows where this figure will get to over the next few years.